Hoping to inform their audience, the owners of Crosstown Tree Service came to us with a rough draft of an ebook they wanted designed and published on their website. After some editing and a design treatment, the ebook was published on their site and used as a download to collect potential customers’ emails. 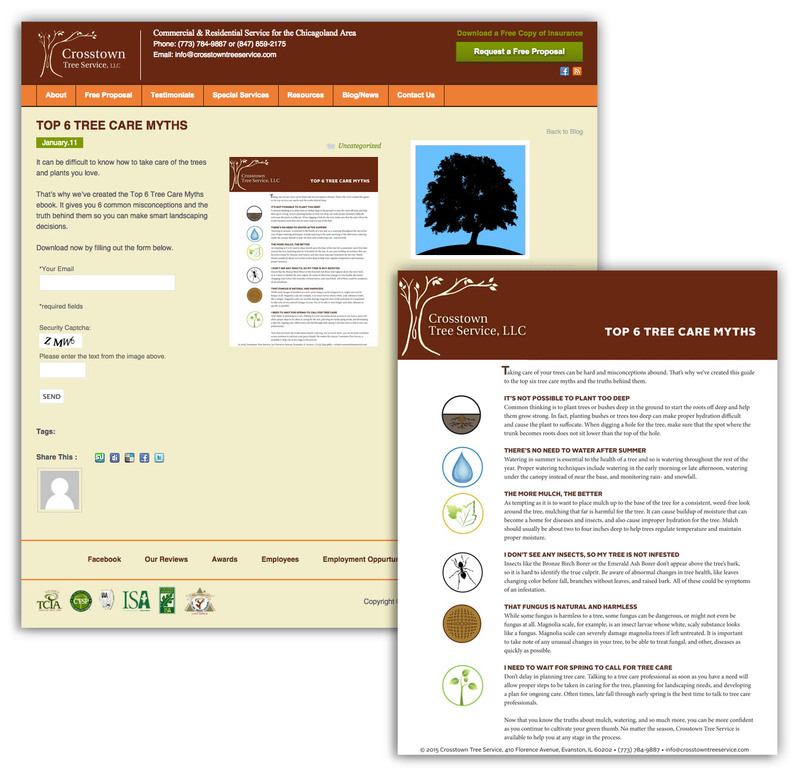 The ebook Top 6 Tree Care Myths helps tree owners learn how to better take care of their trees.